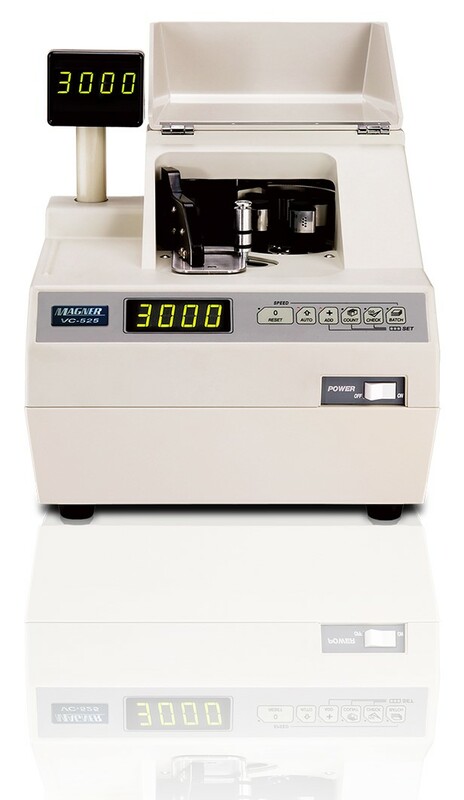 The Magner VC525T VS is a high-speed desktop banknote counter, providing speed, simplicity, reliability and a high level of accuracy. The precision vacuum system is capable of up to 3,000 notes per minute, along with an auto-start programmable checking function to increase ease of operation. 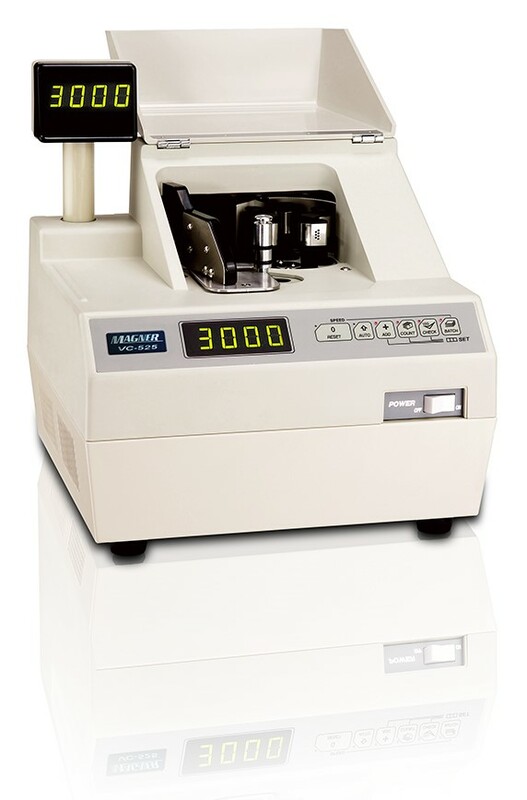 The new variable speeds function also makes this machine especially beneficial for poor, folded, limp or soiled notes. The VC525C VS provides speed, simplicity, reliability and a high level of accuracy.